In the spirit of Holocaust Remembrance Day last week and the 13th anniversary of the event, PBS re-webcast, "Space Shuttle Columbia: Mission of Hope" (formerly titled "An Article of Hope"). It is the untold story of Colonel Ilan Ramon, a fighter pilot and son of Holocaust survivors who became the first and only astronaut from Israel, embarking on a mission with the most diverse shuttle crew ever to explore space. Ramon realized the significance of “being the first” and his journey of self-discovery turned into a mission to tell the world a powerful story about the resilience of the human spirit. Although the seven astronauts of the Columbia perished on February 1, 2003, a remarkable story of hope, friendship across cultures, and an enduring faith emerged. The film premiered in conjunction with the 10th anniversary of the disaster and NASA’s annual Day of Remembrance. Space Shuttle Columbia: Mission of Hope goes behind the scenes to explore the “mission within the mission” for Ramon, who carried into space a miniature Torah scroll that had survived the horrors of the Holocaust, given to a boy in a secret bar mitzvah observed in the pre-dawn hours in the notorious Nazi concentration camp of Bergen-Belsen. 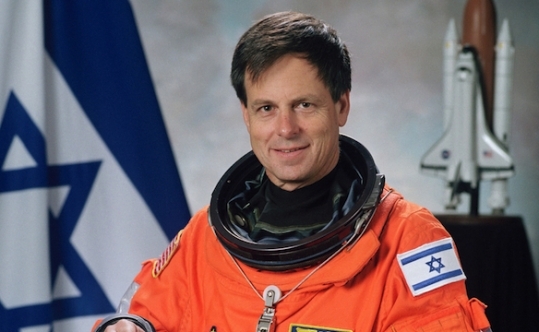 The bar mitzvah boy grew up to become Israel’s lead scientist for the mission, Joachim “Yoya” Joseph. The film follows the scroll’s path into Ramon’s hands, and the dramatic moment when he tells its story live to the world from the flight deck of Columbia. From the depths of hell to the heights of space, his simple gesture would serve to honor the hope of a nation and to fulfill a promise made to generations past and future. Fascist Italy was one of the last countries to serve-up her Jewish citizens to the Nazi camps. 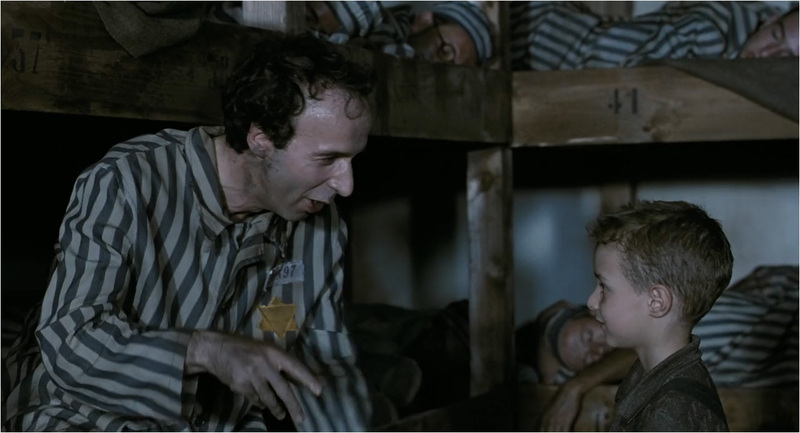 The 1997 film "Life is Beautiful," starring Roberto Benigni dramatized the Italian internment. Benigni's own father had survived 3-years of internment at the Bergen-Belsen concentration camp. Italy's Consul General to L.A., the Honorable Antonio Verde, explains the reading of names of the Italian Jewish victims of the Nazi Holocaust at the L.A. Museum of the Holocaust. served-up from Italy sobered the LAMOTH audience. Samara Hutman, Executive Director of L.A. Museum of the Holocaust explains the genesis and growth of the Italian Holocaust awareness project. Mrs. Anne Signett reads the names of Italian victims of Nazism. She expresses concern that the lessons of the Holocaust manifest as vigilance by current generations. Mrs. Amelie Dembitzer Levin, who survived the Holocaust by being hidden by Catholics in Italy.